NOTE: Aboriginal and Torres Strait Islander people are respectfully advised that the following article contains images and names of people who are deceased. The Kinchela Boys’ Home is another of the children’s homes deserving of a fresh look by the Royal Commission, since more issues have arisen since the last review. It has been reported that about 10% of those stolen children sent to institutions were sexually abused. 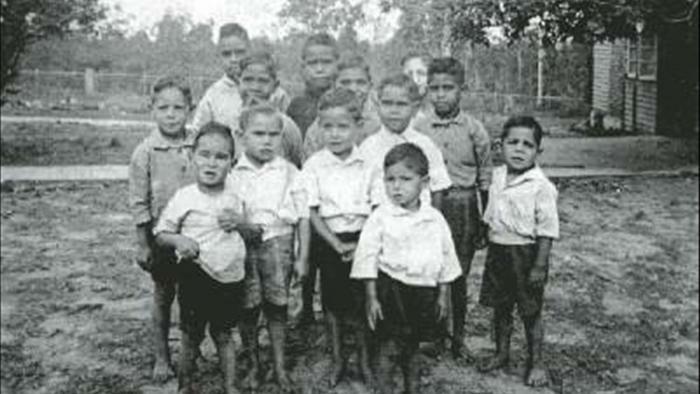 The Kinchela Boys’ Home was established by the Aboriginal Protection Board in 1924 to house Aboriginal boys who were removed from their families as part of the process of “assimilating” them into white Australian society at a time when the “white Australia Policy” was in force. It closed in 1970. 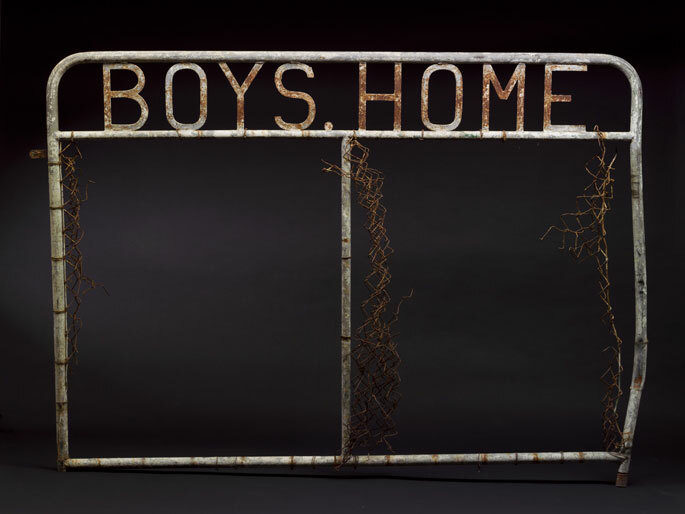 In most cases, boys were sent to traditional boys’ homes. Kinchela was a bit unusual in being solely for Aboriginal boys. Typically, physical, emotional and sexual abuses were common there. Much is detailed in the “Bringing Them Home” report of the national enquiry into the Separation of Aboriginal and Torres Strait Islander Children from their Families. Kinchela has been written about in a few places besides the “Bringing Them Home” report. For example, there is Bill Simon’s autobiography “Back on the Block”. 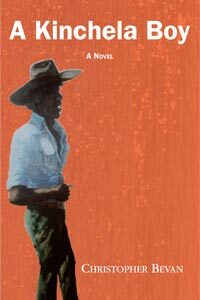 Christopher Bevan has written a novel based on the life of Kinchela survivor, Cecil Bowden. The Kinchela story has been the subject of a Ph.D. thesis by Christine Shepley of the University of Newcastle in NSW (see references below). A photographic exhibition, entitled “Let’s Face It”, by Sarah Barker, was held in 2011 at the University of Sydney. It was attended by past Kinchela boys, including Bill Simon, who had their “Home Number” placed below their photographs. Most children’s homes of the era used numbers rather than names. Bill was No. 33 (The author of this blog was No. 32). The boys had been removed from their families under the Aborigines Protection (Amendment) Act (No. 215) until they were old enough to be sent out to work, at 15, as manual labourers and agricultural workers. They remained Wards of the State until they turned 18. Their income was held in trust by the Board, and this remains a significant issue as record-keeping left much to be desired. After closure of the Home, in 1970, the Aboriginal community lobbied to keep it for the control and use of the Aboriginal Community. The Minister for Child and Social Welfare determined the site would be sold and advertised it to be auctioned on 5th May 1972. Thanks to the advocacy of strong Aboriginal voices the government overturned its decision, and the former home was passed into Aboriginal ownership. 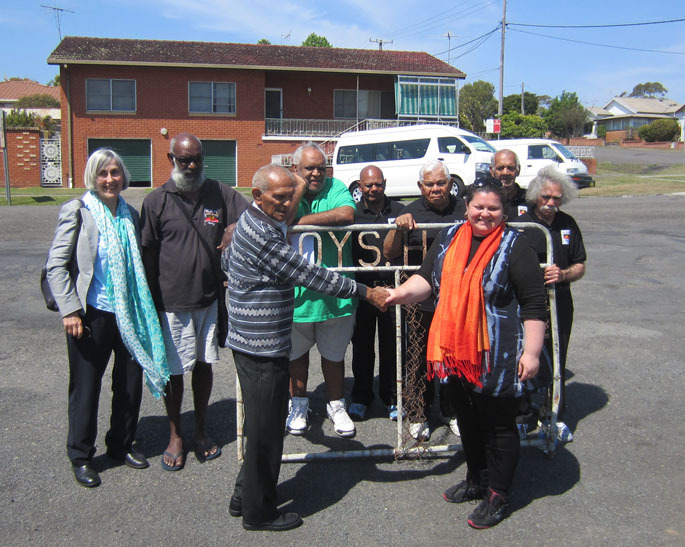 The former Kinchela Aboriginal Boys’ Home now belongs to the Kempsey Local Aboriginal Land Council. The Kinchela Aboriginal Boys Home has been declared a heritage site by the NSW government. It is also an “Aboriginal Place” to recognize the cultural, social and historic significance of the site to the Aboriginal community. The Kinchela men have not yet received government compensation. This entry was posted in Uncategorized and tagged A Kinchela Boy, Aboriginal and Torres Strait Islander people, Aboriginal Place, Aboriginal Protection Board, Aborigines Protection (Amendment) Act (No. 215), apology, assimilation policy, Australian National Museum, Australian Royal Commission into Institutional Responses to Child Sexual Abuse, Back on the Block, Barbara Paulson, Bill Simon, Bringing Them Home report, Cecil Bowden, Christine Shepley, Christine Shepley University of Newcastle, Christopher Bevan, compensation, Harold ‘Bluey’ Smith, Ian ‘Crow’ Lowe, Jay Arthur, Kempsey Local Aboriginal Land Council, Kinchela Boys’ Home, Kinchela gate, Kinchela Training Home for Aboriginal Boys, Let’s Face It, Lewin Blazevich, Lewis Blayse, Manuel Ebsworth, NSW government, NSW government Kinchela Training Home for Aboriginal Boys, NSW Minister for Child and Social Welfare, Professor Marie Bashir, Richard Campbell, Sarah Barker, Separation of Aboriginal and Torres Strait Islander Children from their Families, To be Seen and Not Heard: The Story of the Kinchela Training Home for Aboriginal Boys 1923-1970, Vincent Wenberg, white Australia policy, William Lesley. Bookmark the permalink.